How many half gallon (US) value is in a milliliter ? what is half gallon (US) per milliliter conversion? 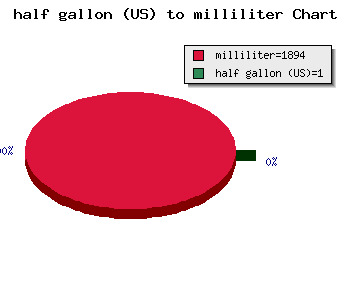 How do you convert half gallon (US) to milliliter online? How do you calculate half gallon (US) from milliliter? 1 half gallon (US) = 1894 milliliter .